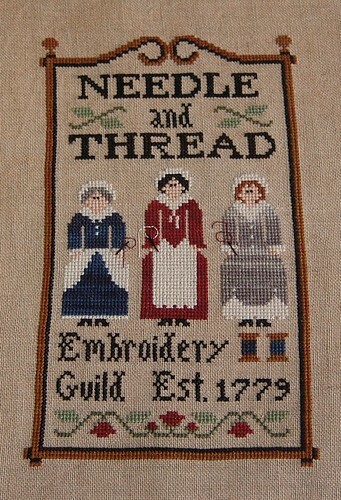 Nicole's Needlework: Embroidery Guild Finished! 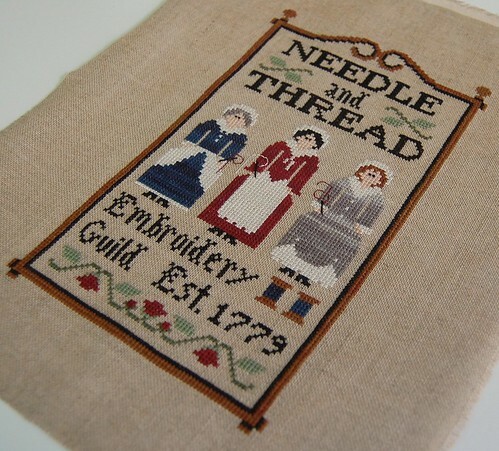 Little House Needleworks "Embroidery Guild"
Great job! You are so fast and your stitching is so perfect. Glad that you had a nice getaway. Very nice finish! Will you frame it? Nicole - it looks great! Glad to hear you had a nice time in FL! Very nice, Nicole. I've been wondering where you've been - I figured you were still busy getting settled. Hi! I'm always admiring your works very much! 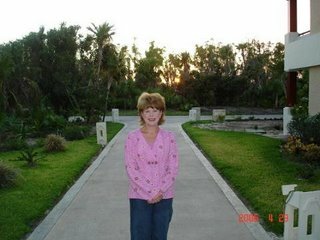 They all are so beautiful as well as your photos, too! You are so talented and am always looking forward to seeing your progress or works! Anyway, congratulation on your lovely finish! This is so beautiful and so sweet!! beautiful finish! I love it!! and you are ready to start the neighborhood huh?!?! I am planning to buy it with a birthday discount this month!!!! Another finish! I´m envious, I really am. Your stitching looks fabulous! Congrats on another finish Nicole! It looks lovely. I like the threads through their needles especially. Welcome back! You are such a speedy stitcher, it is incredible! Lovely !!! I´am doing it too. congrats on another great finish!!! This is such a great piece! Congrats on the finish!